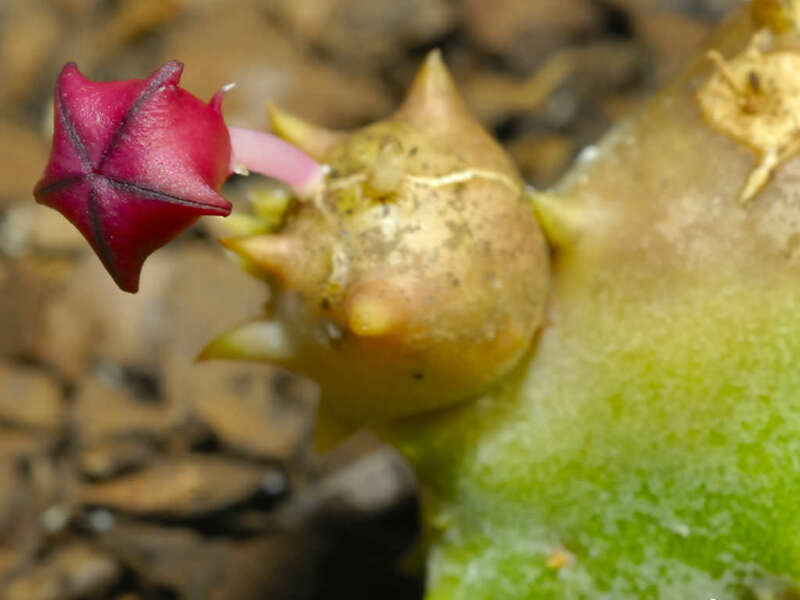 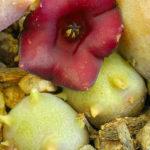 Stapeliopsis pillansii is a low growing, perennial succulent with a cluster-forming and prostrate habit. 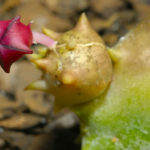 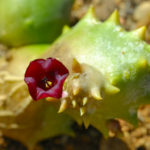 The stems are 4-angled, dull green, more or less mottled or suffused with purple where exposed to the sun, up to 6 inches (15 cm) long, up to 0.8 inch (2 cm) across and have brown teeth. 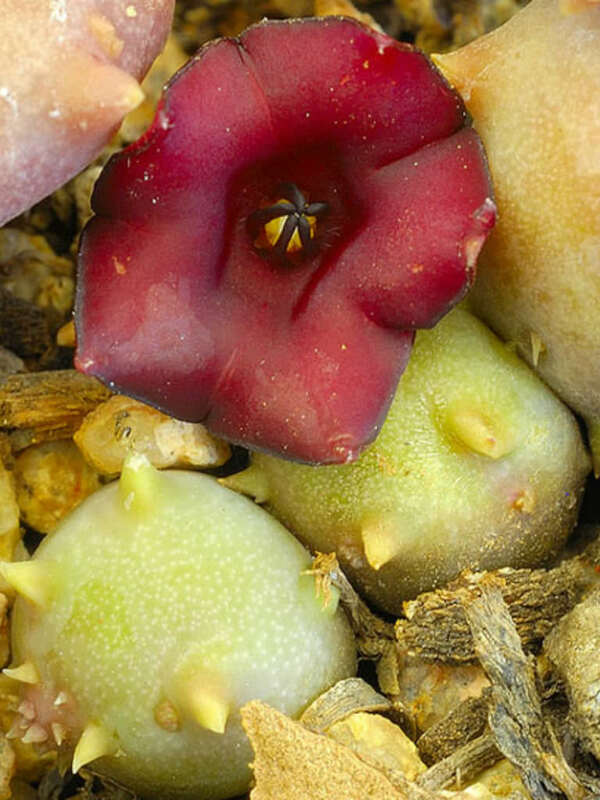 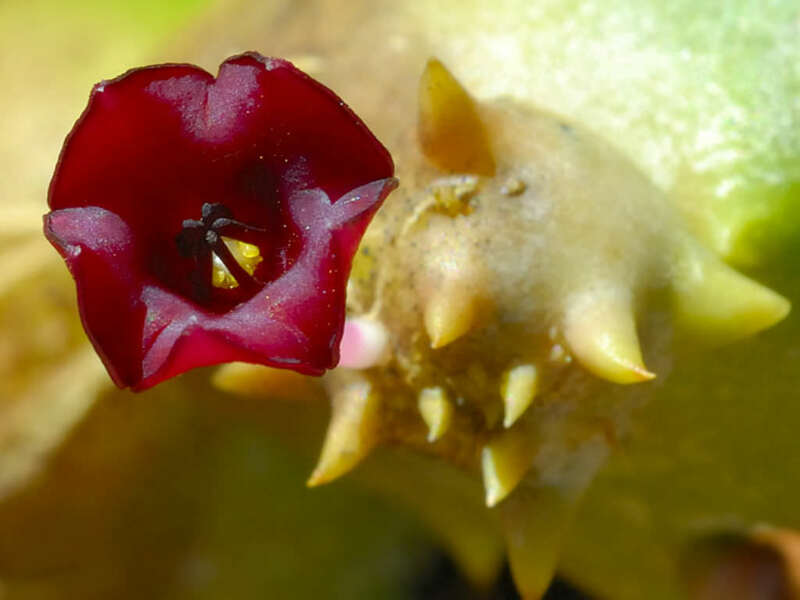 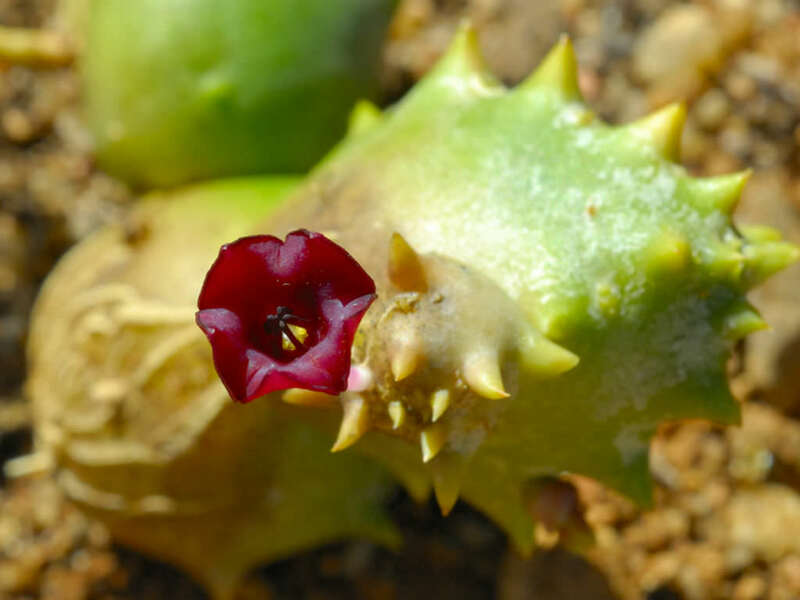 Flowers are light to dark purple and this is one of the rare Stapeliad that flowers under ground.